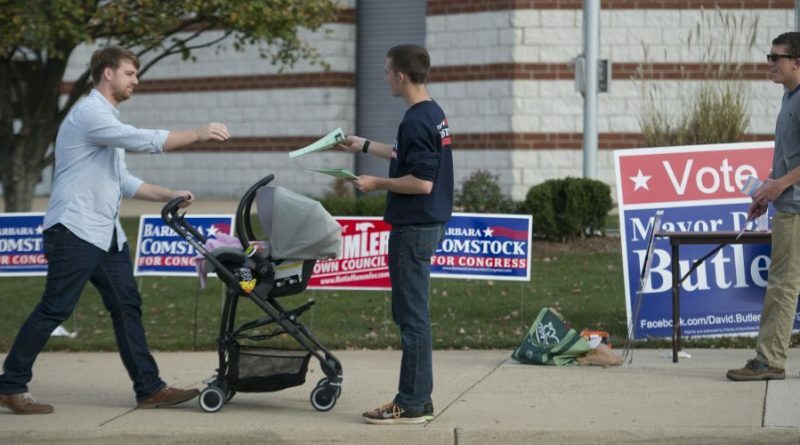 Update: A 4 p.m. tally of votes cast by the Loudoun County Board of Elections showed 126,439 Loudouners have already voted—52.79 percent of the 210,392 registered voters in the county. Loudoun voters saw longer-than-normal lines this morning as voting began in a contentious and historic 2016 election. As of 1 p.m., the Loudoun County Office of Elections had tallied 95,538 voters out of 239,498 registered voters, putting turnout in Loudoun County at slightly below 40 percent. As of today, the county has received 31,743 absentee ballots, with 2,874 still outstanding. This is the first year the county has collected snapshot-in-time turnout numbers, but total turnout in the previous presidential election was 160,370 voters, 76.29 percent of 210,392 registered voters that year. 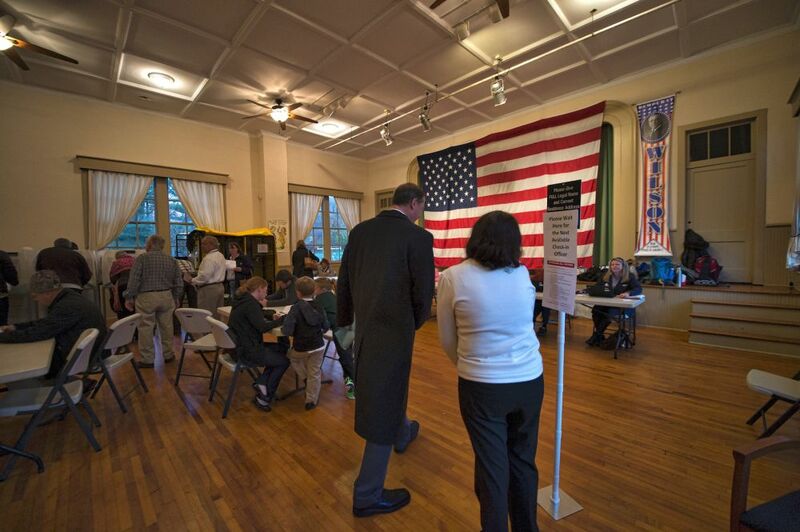 Already, more than 35 percent of last year’s total turnout have showed up to vote this year. As of 11:30 a.m., election forecaster FiveThirtyEight.com gave Democratic presidential candidate Hillary Clinton the lead both nationwide and in Virginia, with a 71.4 percent chance of winning the nation and an 85.5 percent chance of winning the state. Meanwhile, RealClearPolitics has Clinton up by an average of 3.2 points in polls. Ashburn resident Roger Downs said he voted the entire Democratic ticket for the first time in his life. “I just think, with the way things have gone this year…” Downs said, trailing off. But Lois, who declined to give her last name, said she was proud to vote for Republican Donald Trump. She said during high school in Illinois she worked for the Democratic Party, but switched in her 20s. “I was raised by parents who loved Roosevelt and Truman, which I do too, but that’s not the party we’ve got today,” she said on her way into vote at Ashburn Elementary School. Now in her 80s, she said she is not optimistic about the prospect of a Trump victory. “I think there’s too many self-serving people out there who want somebody to keep handing them free stuff, and if this doesn’t happen this time, we’re in for a fall,” she said. “I don’t think she’s (Clinton) going to make it a cohesive unit, but I hope like hell she does better than he (Trump) would,” she said, laughing. She said she didn’t have a favorite candidate this year. Supporting Clinton was a difficult choice for Bob Anderson, also a Leesburg voter. He said he typically votes Democrat, but would have been open to backing the right Republican presidential nominee. Polls remain open until 7 p.m. To find out more, including where to vote, visit loudoun.gov/election2016 or elections.virginia.gov. Now, see, this is a real problem … NO ONE is “supposed” to win … NO ONE is entitled to win anything … even Hillary Rotten Clinton. Yes, she lost to Barack Obama 8 years ago, but so what? She’s not entitled to anything! And to say that Donald Trump “bullied his way to the front” is ludicrous when you consider it was Hillary & the Democrat party that deprived their primary voters of their choice (Bernie) and allowed Hillary to ‘bully’ her way to the nomination. Donald won the Republican nomination the old fashioned way … he earned it! Voting lines are very short at Rolling Ridge Elementary in Sterling at 4;30 PM.